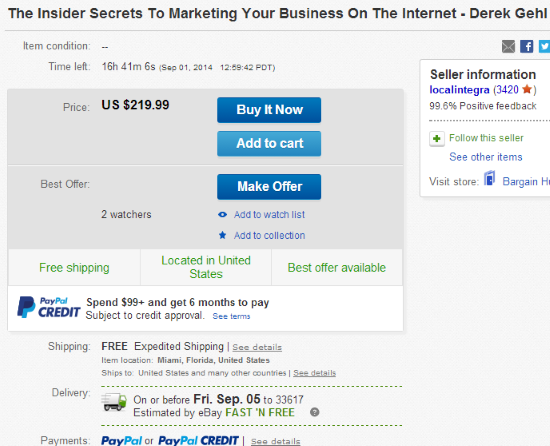 Internet Marketing Courses on eBay – Watch Out!! 2014-09-20_Internet Marketing Courses on eBay – Watch Out!! 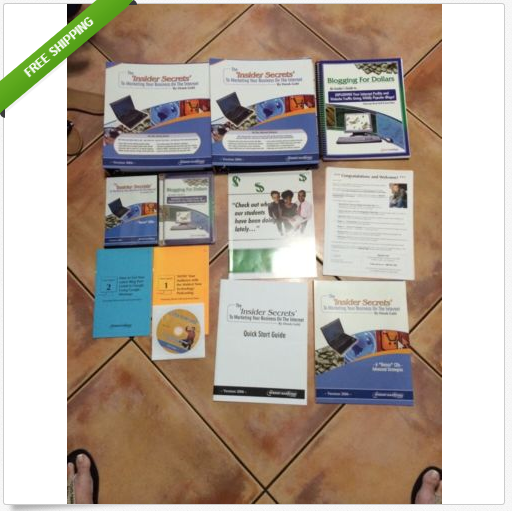 I’m about to show you why you should be VERY careful purchasing Internet marketing courses off eBay. Not all are bad choices, but this one is! One of the first things I did, was look up an old course I have in my possession, Corey Rudl’s The Insider’s Secret to Marketing on the Internet a course, at its time, was the best you could get and its main competitor was the famous SBI, otherwise known as SiteSell, which is still in business and flourishing. I hope to do a review on SiteSell in the near future. To most people who are looking for such a course on the Internet to learn how to build websites and campaigns for their businesses, an alternative to working in a day job, extra income for the housewife, students in college, and a host of other audiences, the title of the course above, is certainly compelling enough to set their hopes high. This course, for the day and age of the Internet that it was published, was considered, and indeed, one of the top choices. I personally have the 2008 edition of this course. I have kept this Course simply because it represents an era in my life and it does have some timeless material in it – if you know what to glean from it! The Internet Marketing Center (IMC) top-choice as it was, has been out of business for quite some time now. The edition for 2009 was a digital product, unlike any of its earlier editions, which were printed and sent in a package to purchaser’s homes as a home-study course. I don’t know if it ran a 2010 edition or not, but I do know that very soon after, the company folded and closed its doors. For more information about the IMC, I have a historical perspective on the company on this site. The post serves as an acknowledgement for the quality these courses had and the success rate of those who purchased them. Unfortunately, I let my copy sit on the shelf and it went out-of-date – which is exactly why I’m here with this now. A wonderful course this used to be, I found that folks are still trying to sell it to unwary folks out there who are looking to learn about online business and marketing on the Internet. Like me, there are probably vast quantities of this Course all over the creation and as mine, just a new as the day I received it! That edition on eBay is two years older than mine! At this point, we’re barely into Web 2.0! Google was around, but it was still in its infancy and Yahoo, AOL, LookSmart, and other search engines still had plenty of clout. 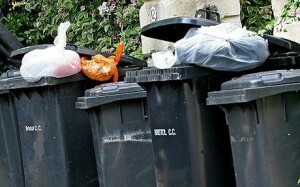 However, since the release of these Course editions, Google has changed the rules such that, for most people just learning, or even intermediary, the best place for these are in the rubbish bin! As well-done as this famous Course was, today, it will do more harm than good and is NOT recommended for novices especially. Here are some screenshots of what I found this evening. The price being asked for this isn’t just atrocious, it’s downright insidious! This course should be offered as an antique, for in Internet terms, that’s what it is. At the time of this writing, there are two watchers and I don’t know how many others who’s checked it out. So far, no bids on it, and hopefully nobody does purchase it who is seriously trying to learn about online marketing! Here’s the description. Note the year of the edition of the course. This should be a dead giveaway to folks, but unfortunately it’s not considered by many who do not realize how dynamic the Internet is and all the Panda & Penguin Updates by Google, amongst many other things that, applied then, no longer work today! What’s Wrong with This Course? It’s aged, therefore, due to the fast-moving pace and evolution of the Internet, dated. That’s basically it. As I mentioned above, the way Internet marketing was done and how it is done now are worlds apart! Though the concepts taught in this course worked in 2006, many concepts related to the setting up of promotional campaigns do not work at all now! Perhaps there are some items taught in it that still apply today, but one thing is for sure – there is a significant amount taught in the Course, that will cause undesired effects. That’s not anything I’d want to invest such a price on – even if the thing is like new! Unless you’re into Internet history, I’d leave stuff like this alone and make absolute sure whatever you’re getting is not anymore than a few months old, and better, current and up-to-date. There are such programs out there, though you will need to look hard for them amidst the vast quantity of rubbish out there! Sadly, this course, even though it, for the Internet age it served, is high quality, today for most people, is rubbish. 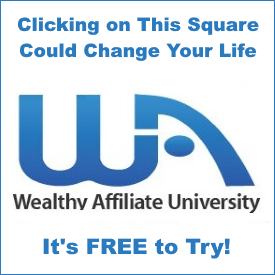 It will teach you concepts that no longer apply to today’s Internet and creating campaigns in an online business. Today, when I was talking to an expert in theology, I was mentioning to him, a set of treasured books I have in my collection. The day I had gotten them was a day of celebration because these books were out of print then, and were hard sought after in those days! 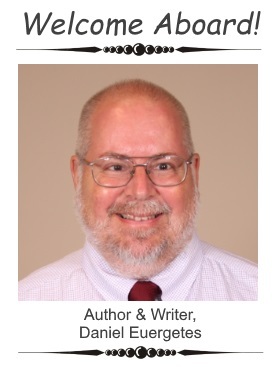 Unfortunately, the books are written in a language that worked well for the day in which they were written – early on in the 20th century, the 1910s and 1920s. The language is full of idioms and semantics that are no longer used to day, or are rarely heard in the English language. I suggested to him that I understood what was in the books. He agreed with me and bore the fact that he too, has one or more of these books and refuses to get into them. “Why?” I asked. As well-written as those books are, today there are much more modern and up to date books and media on the same topics that are far better presented and much more has been added to human knowledge concerning these topics since. It would be rather, a waste of precious time to bother trying to pore through those old books than it would to get the same (and more) knowledge in less time by reading the matter in language we best understand today. In the Internet world, just like the language in those books have become obsolete, even though some or even all of the content is true and accurate, many of the things in such a Course as The Insider’s Secret to Marketing on the Internet may be true and accurate, but only for the time in which it was presented. Today, the language of the Internet has changed and as the elder had strongly recommended I seek out more up to date books for the theological work I do, I strongly recommend you seek out an up to date and the top choice in online business training that you can get your hands on today! Read all about it by following the signature box link below. What Happened to Internet Marketing Center (IMC)?